Repairs can be achieved on all types of doors including glass doors, glass & aluminium doors, timber doors and synthetic doors. We offer a broad range of brands and models and an extensive range of accessories such as hold open arms. Nearly every commercial and corporate office have a door closer service operating on their doors. Door closers are extremely common in the Sydney CBD and all corporate office buildings throughout Sydney. One of our main services is looking after, fixing and maintaining door closers on commercial doors. Visit our Door Closers Frequently Asked Question page here. We also have extensive experience with door closer and self-locking latches in the home environment as well. No matter what type of door closer you have, we are able to diagnose your door and recommend the best solution going forward. We only use the best quality material on all door closer repairs. This allows us to offer a quality guarantee on all products installed in your home or office. 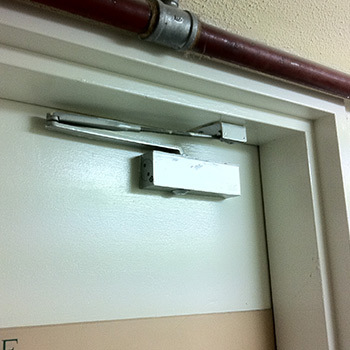 Before we fix or repair your door closer, it would be best to give us a call so we can identify your door type. Once we have identified your specific door and the type of door closer, we are able to give you a fast and accurate quote. For more information or to request a quote, please Contact Us via the number below and speak to someone who can help you straight away for all your door closers issues. 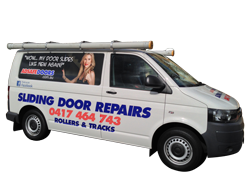 For more information, please visit our Sydney sliding door repairs page. We also have some information you may find useful on Common door disaster problems and the different types of door brands in Sydney.